IN GREEK, the name Jonas means "dove." In Hebrew, the name means "a gift from God." In Filipino pageantry, the name is synonymous to an unassuming soul sent from heaven to refine diamonds in the rough. Fondly called "Mama J" by his friends and protégées, JONAS GAFFUD is the force behind the tremendous success of Filipinas in international pageants. 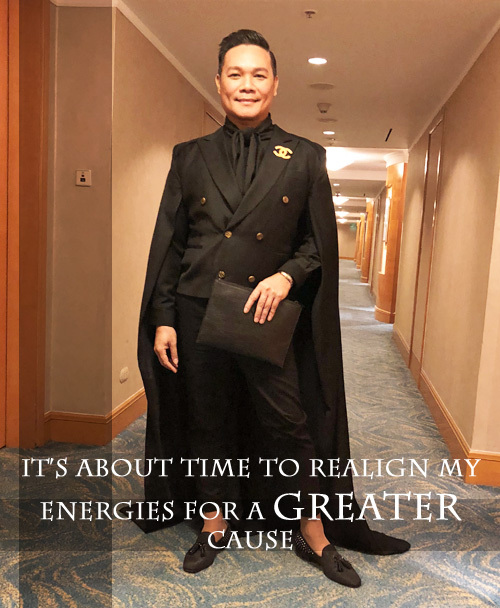 On April 1st of this year, he posted on his social media that he has relinquished his position as head of the pageant training camp, Aces and Queens, and accepted a new lucrative post with IMG Universe. Skeptics assumed that the post was an April Fool's joke, but it wasn't. The dove has indeed left the dovecote for new and more challenging adventures. I met Jonas for the first time in New York City's Marriott Marquis Hotel on Valentine's Day 2016 during a late afternoon luncheon coordinated by a common friend. Jonas had traveled to the Big Apple for the New York Fashion Week, among other things. His latest "achievement" at that time - Miss Universe 2015 Pia Wurtzbach - modeled at the event. Although I did not meet Pia, I "felt" her presence by chumming with her mentor whom I found charming, affable and discreet. I have always wanted to interview Jonas for Critical Beauty, so when his April Fool's Day post came about, I jumped at the opportunity to ask him a few questions. 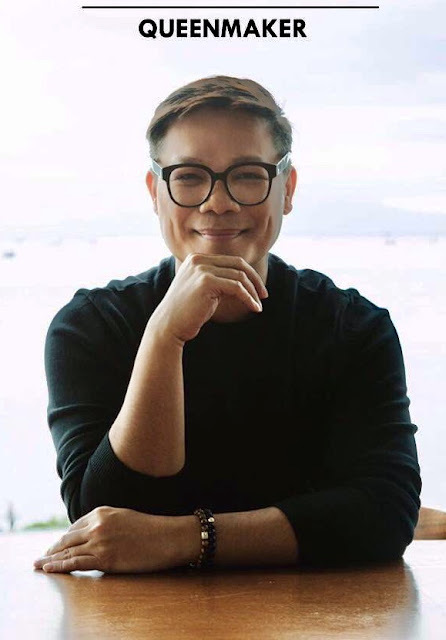 For nearly twenty years, you have been the architect behind Aces and Queens (A&Q), which is undeniably one of the best pageant training camps in the Philippines. It must be very hard and emotional for you to leave a group of fellow pageant enthusiasts and experts that have become somewhat your second family. Even though you are no longer officially with the group, will you still be giving them some advice if they ask you for it? And who will replace you as its new leader? YES, it was a difficult decision indeed. I had to sacrifice the fun, thrill and excitement that came along with this kind of passion. I believe the brand itself will stand no matter who the new leader is, as long as they are passionate enough and not to get distracted with problems and issues. I am willing to give advice to anyone, be it an individual, a team, a camp or whatever they want to be called. 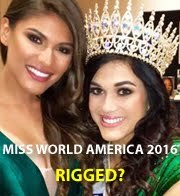 You have worked with countless young women, many of whom have either placed or won in their respective pageants. You have managed to produce three amazing global winners (Miss International 2016 Kylie Versoza, Miss World 2013 Megan Young, and Miss Universe 2015 Pia Wurtzbach). What qualities are you looking for in a potential winner and why? THE greatest quality I am looking for in someone is her star quality. When she enters a room, she commands attention. Of course you have the physical attributes like beauty of face, height and character. But a woman with a great aura, coupled with substance will make her a cut above the rest. Of all the young women you have mentored, do you have any favorites? Who was the easiest to work with? And the most difficult? I THINK each girl has her own character. Might be difficult to some or not to others. It’s up to you how you perceive things, or how you accept one’s flaws and attitude. I don’t want to single out anyone because they are all unique. The reality show "The Game of Crowns" featured A&Q's pageant preparation techniques. One of its mottos is, "Beauty queens are not born. They are made." Does this mean that any woman can be a beauty queen? THE SHOW'S position is all about preparation and training. That is why we put that line. In recent years, one has to really be prepared. Yes, it is one’s destiny, but it won’t hurt to try new things and equip yourself with the best guidance you can get. As you know, pageant fans can be the most supportive of their favorite contestants, but they can also be the most vicious critics. You have certainly been a target of cruel online bashing, and you will continue to be as long as there are haters out there. How do you cope with bashers who say the most outrageous and asinine things about you or your work? I BELIEVE I have my own destiny. I try the best way I can to live a life of purpose and be of help to others. People don’t know me, my thoughts, my life, my feelings, my heart. I have been vilified, but then again, I have my core, my strength, and that’s not only my family, friends, career, co-workers, and supporters. It’s my whole being. My path to go on and extend myself to others, to be able to provide jobs so people can help their families, to influence people in a better way, and make the most out of this life. It bothers me of course, sometimes to the point where I question that purpose, but you just draw character and strength from that, focus and move on. What doesn’t kill you makes you stronger. By the way, congratulations on your new position as the Creative and Events Director for Miss Universe Philippines Brand under IMG Universe! How did you get this job and what will your responsibilities include? Are you tasked to create new events that will showcase the Philippines not just as a tourist destination alone but also the different charity organizations that BPCI support? Or are you tasked to improve on the existing events that BPCI has already initiated? I AM very honored actually. But I want to make it clear that this job does not make me in any way, part of any screening process, judging, and selection of winners. I believe MUO wants its brand to be more significant, especially in Asia. After all, we Filipinos have emerged as the best Miss Universe fans in the world. MY TASK is to be the Creative and Events Director for Miss Universe Philippines Brand under IMG Universe. I have programs in mind, well honestly, I would like to bank on the digital space. We plan to use online platform to create more awareness on women empowerment (which might seem cliché, but for me it’s not about going against men but making young women become more inspired in achieving their goals. We would like to share stories. We also thought about contributing to Philippine economy by promoting tourism. We will make it different from what we are used to in pageants. It will totally be creative and carry a more international flair. Also, we will be raising funds every year. This is not easy to achieve but hopefully we should be able to raise at least $100,000 a year for charity. This year will depend on which charitable cause that Catriona and Pia will choose so we can give the organizations the amount we could raise. And we would like tangible results, of course. This way, I am very happy to say that I am trying again to focus on my purpose, to be of use to others. I have to be creative, innovative. ACTUALLY, I did not have to leave Aces and Queens come to think of it. But it’s not only delicadeza*. It’s about time to realign my energies for a greater cause. My year is already full with the creation of Empire Group of Companies. 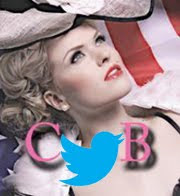 I have my digital, events, talent management, production etc. I cannot spread myself too thinly and sacrifice the quality of work I have to deliver. Will you be reporting directly to IMG Universe or to BPCI (Binibining Pilipinas Charities, Inc.)? And will you still be managing Mercator, your renowned artist and modeling agency? YES, I will be reporting directly to IMG Universe, but of course will be collaborating with BPCI. I hope we can have smooth cooperation, because if we do, it’s a win win for all of us. I am not managing Mercator anymore too by the way. I put my trust on people I believe who can focus and handle the agency. Will there be a totally separate pageant for Miss Universe Philippines in the future? NO finalized plans as of this moment but we have inputs to step things up. However, of course everything has a process and management will decide on that. I am not part of management decisions, I am here to give suggestions and execute approved events, etc. With your new position, many pageant fans are anxious that you will have a tremendous influence on the selection of this year's Miss Universe Philippines. Is their anxiety legitimate or not? AS I said earlier, I am not part of any judging process. I can't even go every day to their events. I have so many things to accomplish and deadlines to beat. Should Stella Araneta someday retire as BPCI's director, can you see yourself replacing her? MRS. Stella Araneta is an institution and I can’t speak on her behalf. She is a woman I admire and respect. If given the opportunity, I won’t say no. I think a lot of people would love to dream that big. Actually, a lot would like that position. But I am not thinking about it because I really want to establish myself and my company, Empire. I believe I can do good where I am needed at. Who is the real Jonas Antonio Gaffud? I HAVE always talked about my purpose above. Who am I? 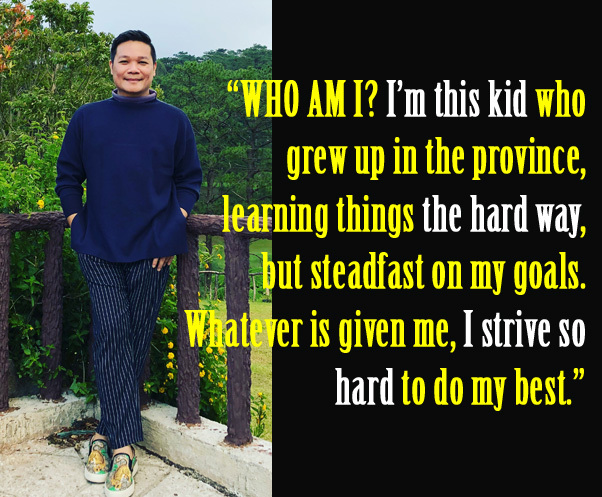 I’m this kid who grew up in the province, learning things the hard way, but steadfast on my goals. Whatever is given me, I strive so hard to do my best. I am determined. 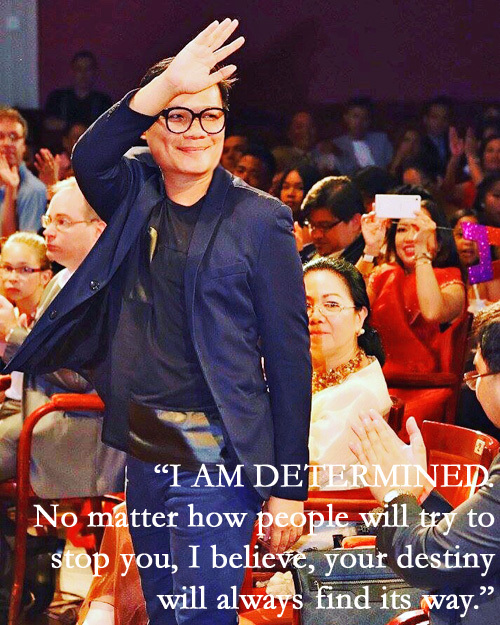 No matter how people will try to stop you, I believe, your destiny will always find its way. You always look so proper, elegant and well-dressed. How do you define your personal style? THERE ARE memes that picture billionaires wearing simple shirts and pants. Then an ordinary guy wears Prada, Louis Vuitton, Dolce & Gabbana, Fendi, etc. But remember the wealthy have billion dollar homes and private jets. If you feel good about something, wear it. If you can afford, buy it! I am not really stylish as a person. But I do love to dress nicely. Not to brag but just to feel good. Not to impress but to make myself feel confident. I like classy things. I would love to have my own unique outfit designs in the future including shoes. 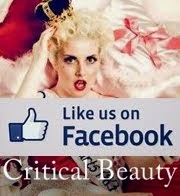 If you weren't in the beauty or modeling industry, what would you be doing instead? I AM a geographer but I don’t see myself in that. Perhaps I would be in events and production. I am really happy that in the digital age, we are given the opportunity to do something else. Be creative and have fun! Do you think transwomen should be allowed to compete in pageants originally designed for biological females? HONESTLY at first, I thought otherwise. But things change, the world evolves. We have to be inclusive. Now I look at transwomen as women. Not who they used to be. Do you have any phobias? If so, how do you deal with them? I AM scared of heights and the deep blue sea. I fly and travel all the time. I just pray. What do you do to relax or relieve stress? I USED to say that to relieve one’s stress, there’s always alcohol. Lately, I have been trying to stop. The thing is, it really makes me difficult to sleep. There’s so many things going on in my head. I could lie down in bed, try to sleep at 11 or 12 midnight. But I manage to stay awake for another four hours. It's so weird, but my brain is restless. The best relaxation for me is to travel. It gives you this new perspective, the break, the learning and the freedom. What one question would you like people to ask you and what would your response be? I THINK the questions above, and my answers define who I am in many ways, but if given a question I would like to be asked, it would be: How would you like to spend the rest of your life when you turn 50? That is 10 years from now. My goal really, as I said, is to help as many people as I can. So by then, I would like to be more stable, fulfilling other people's dreams. However I want to be more relaxed, travel the world, and still believe in “magic”. Music - Mariah Carey, fashion, anything that makes you want to strut the runway. Walk for me! Fashion Designer - I have so many! Michael Cinco, Francis Libiran, JC Buendia, Albert Andrada and many others I have worked closely with specially during my stint at Aces and Queens. Well, Jonas, you have certainly done something good to your fellow pageant fans by granting us this interview! We all wish you the best of luck in your new endeavors!